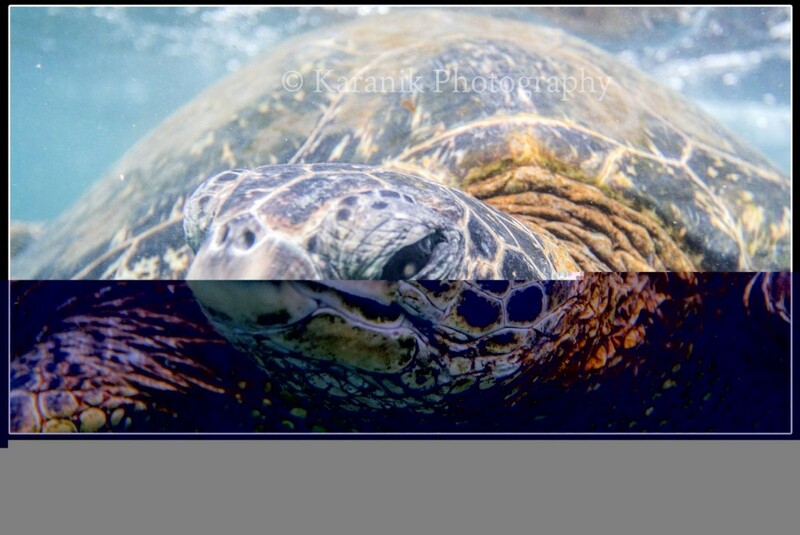 A dozing Hawaiian sea turtle eyes the camera underwater in clear Hawaii waters. Up close it is easy to see the honu’s prehistoric roots…and yet for some reason we are attracted to, rather than repelled from this reptile. This once threatened species of sea turtle has made a solid recovery in the islands and elsewhere in the Pacific due to recent regulation. We are thankful to see them at many local beaches and shorelines throughout Hawaii and enjoy the enthusiasm they instill in visitors and locals alike.